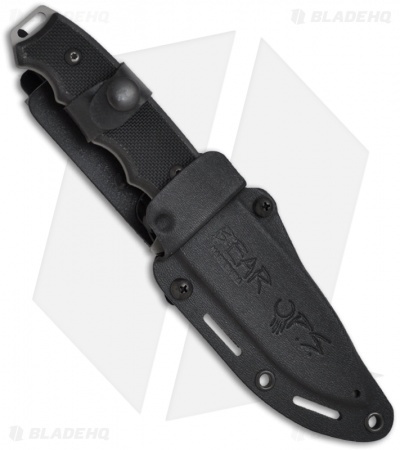 The CQC-200 Close Quarters Combat knife from Bear OPS (a division of Bear & Son Cutlery) is a rugged and tough fixed blade that is ready for action. 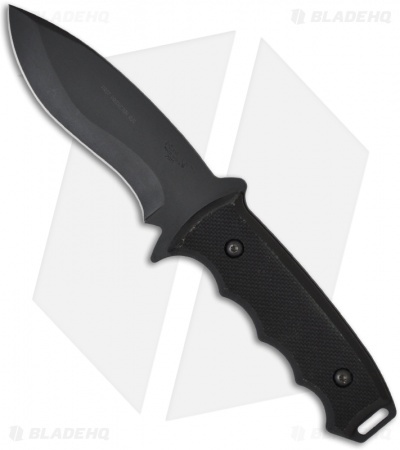 The CQC-200 series has a modified drop point blade with a recurve edge. It is made from premium 154CM stainless steel and titanium black coated. The G-10 scales combine with the guards to create a stellar platform for hard use. The Bear OPS CQC-200 comes with a Kydex sheath.